The fascinating story of the rise of Amazon, which is the story of Jeff Bezos himself. He is brilliant, analytical, highly competitive, and driven. Bezos built Amazon not only to create the best contemporary company of its kind, vanquishing all rivals, but engineered systems to innovate and continue to succeed well into the future. I read this book as part of the research for my Wall Street Journal story, published in November, about Amazon’s rapid progress here in India. I wanted to learn as much as I could about Amazon. I couldn’t have picked a better book. 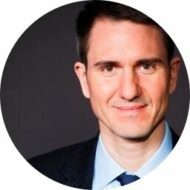 Author Brad Stone, who covered Amazon for years for the likes of The New York Times and Newsweek, provides the fascinating story of Bezos’s personal background, his early academic success, and his bold decision to leave a high-paying Wall Street job to move out west and found Amazon. The book is not a hagiography, however. Bezos and Amazon are presented warts and all. Anecdotes show the Amazon founder to be at times ruthless in his quest for success, and other times enormously generous. And the high-pressure nature of Amazon’s corporate culture is plain to see. 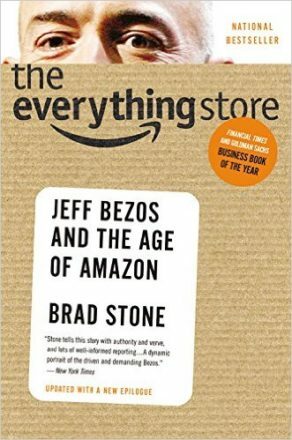 I’m old enough to recall the dotcom bust, but “The Everything Store” serves as a good reminder to younger readers just how bleak things got for Amazon, when its stock fell and many believed one of its e-commerce competitors, eBay, would be the runaway success, not Amazon. From a communications perspective, it’s interesting to note the book highlights several instances when new public announcements have been timed over the years to conincide with competitors’ quarterly results, as a way to steal their thunder. And Bezos himself is a master at messaging, honing “Jeff-isms” to express the company’s point of view in a pithy manner, often deflect various criticisms of the company along the way.